Sept. 22, 2017, 12:24 p.m.
News organizations in Germany are trying to ensure that the fake news scourge that afflicted the 2016 U.S. election doesn’t spread to the German elections taking place this Sunday. 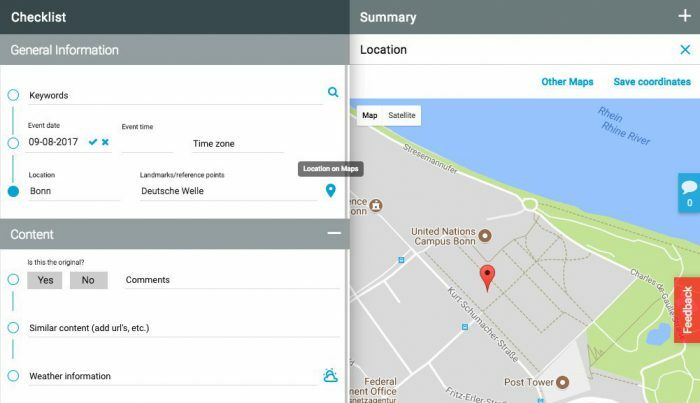 Designed to simplify the workflow of verifying photos, videos, and social media posts, Truly Media offers reporters a single verification interface that integrates with services like reverse image search site TinEye, Google Maps (for location verification), and video verification tools. It’s also designed around collaboration, both within single newsrooms and across multiple organizations. It’s particularly focused on user-generated content coming out of Facebook and Twitter, where fake news and information are most likely to emerge and spread. This reality has resulted in few major factchecking initiatives in the country, at least compared to the U.S., and even France, where 17 organizations partnered on First Draft’s Crosscheck project, as Poynter noted. For our Greek-speaking readers out there, here’s an interview that Athens Technology Center gave to Greece’s Hellenic Broadcasting Corporation. Bilton, Ricardo. "News verification platform Truly Media wants to help German news orgs combat fake news ahead of Germany’s election." Nieman Journalism Lab. Nieman Foundation for Journalism at Harvard, 22 Sep. 2017. Web. 19 Apr. 2019. Bilton, Ricardo. "News verification platform Truly Media wants to help German news orgs combat fake news ahead of Germany’s election." Nieman Journalism Lab. Last modified September 22, 2017. Accessed April 19, 2019. https://www.niemanlab.org/2017/09/news-verification-platform-truly-media-wants-to-help-german-news-orgs-combat-fake-news-ahead-of-germanys-election/.